Excellently located near shopping, medical, entertainment, restaurants I-485 & 74. Easy access to uptown. Meticulous inside & out. Move-in ready home is adorned w/dental crown molding, 5"baseboards, door & window trim package, ORB levered door handles, LED lighting, upgraded wall outlets covers, security system, self-cleaning ovens, microwaves, dishwashers, disposal, refrigerators, large pantry, 2 Laundry closets w/washer & dryers in each, blinds on all windows & doors. Walk-in Jacuzzi tub w/LED colored lighting, shower attachment & water heating in hall bath. Master suite w/walk-in closet & glass slider that accesses covered patio w/ceiling fans. This is a unique property with endless customization options. Landscaped property boasts a back yard oasis housing garden beds, 2 patio's & 3 storage buildings. 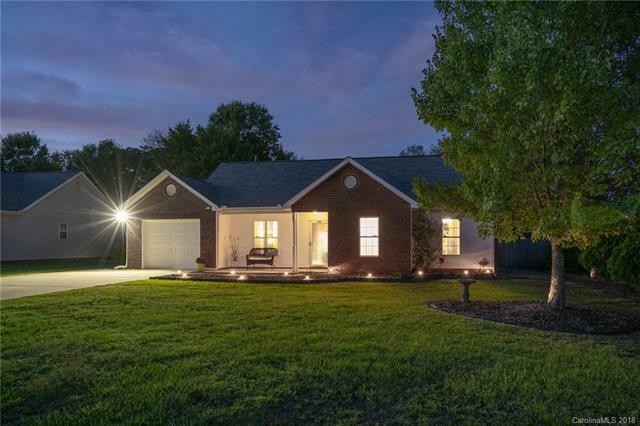 Outdoor lighting & plenty of parking include graveled car/boat/trailer lot on east side of home. Refer to captions under photos for further details.